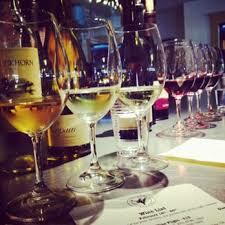 The Solano Cellars Wine Clubs offer a monthly glimpse into the enormous range of wines our buyers encounter. Distilled from hundreds of selections down to a few each month, the clubs represent the best of the best we've tasted. For our club members, we negotiate to provide our selections at excellent pricing both at the initial purchase and on re-orders. Whether you are looking for a provocative selection of wines meant for everyday consumption or a few bottles each month to blow your mind, our clubs are tailored to our subscribers' preferences in a way larger operations can't maintain. The prices of the wines in the wine club are offered at a discount from regular retail, sometimes up to 40% off but never less than 10% off. 1) The Monthly "Grand Tour"
Included with each club is a sheet with tasting notes on the months wines. Interested in a custom six or twelve pack? Please contact us to discuss pricing. 2) The Monthly "Special Selections"
The Special Selection club serves as a personal sommelier selection - you can either provide us with direction on your tastes or we can work to set a theme for you to explore.